Shropshire ( /ˈʃrɒpʃər/ or /ˈʃrɒpʃɪə/; alternatively Salop; abbreviated, in print only, Shrops) is a county in the West Midlands of England. It borders Wales to the west, Cheshire to the north, Staffordshire to the east, Worcestershire to the south-east and Herefordshire to the south. Shropshire Council was created in 2009, a unitary authority taking over from the previous county council and five district councils. The borough of Telford and Wrekin has been a separate unitary authority since 1998 but continues to be included in the ceremonial county. The county's population and economy is centred on five towns: the county town of Shrewsbury, which is culturally and historically important and is located in the centre of the county; Telford, a new town in the east which was constructed around a number of older towns, most notably Wellington, Dawley and Madeley, which is today the most populous; and Oswestry in the north-west, Bridgnorth just to the south of Telford, and Ludlow in the south. The county has many market towns, including Whitchurch in the north, Newport north-east of Telford and Market Drayton in the north-east of the county. The Ironbridge Gorge area is a UNESCO World Heritage Site, covering Ironbridge, Coalbrookdale and a part of Madeley. There are, additionally, other notable historic industrial sites located around the county, such as at Shrewsbury, Broseley, Snailbeach and Highley as well as the Shropshire Union Canal. The area was once part of the lands of the Cornovii, which consisted of the modern day counties of Cheshire, Shropshire, north Staffordshire, north Herefordshire and eastern parts of Powys. This was a tribal Celtic iron age kingdom. 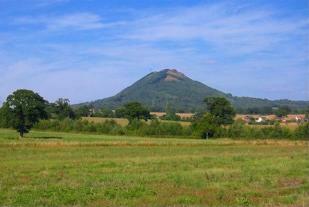 Their capital in pre-Roman times was probably a hill fort on The Wrekin. Ptolemy's 2nd century Geography names one of their towns as being Viroconium Cornoviorum (Wroxeter), which became their capital under Roman rule and one of the largest settlements in Britain. After the Roman occupation of Britain ended in the 5th century, the Shropshire area was in the eastern part of the Welsh Kingdom of Powys; known in Welsh poetry as the Paradise of Powys. It was annexed to the Angle kingdom of Mercia by King Offa in the eighth century, at which time he built two significant dykes there to defend his territory against the Welsh or at least demarcate it. In subsequent centuries, the area suffered repeated Danish invasion, and fortresses were built at Bridgnorth and Chirbury. The county also contains a number of historically significant towns, including Shrewsbury, Ludlow and Oswestry. Additionally, the area around Coalbrookdale in the county is seen as highly significant, as it is regarded as one of the birthplaces of the Industrial Revolution. The village of Edgmond, near Newport, is the location of the lowest recorded temperature (in terms of weather) in England and Wales. 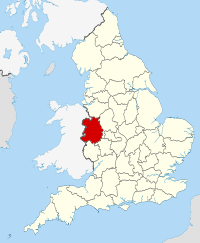 The origin of the name "Shropshire" is the Old English "Scrobbesbyrigscīr" (literally Shrewsbury -shire). Salop is an old abbreviation for Shropshire, sometimes used on envelopes or telegrams, and comes from the Anglo-French "Salopesberia". It is normally replaced by the more contemporary "Shrops" although Shropshire residents are still referred to as "Salopians". Salop however is also used as an alternative name for the county town, Shrewsbury, which also shares the motto of Floreat Salopia. The border with Wales was defined in the 16th century – the hundreds of Oswestry (including Oswestry) and Pimhill (including Wem), and part of Chirbury had prior to the Laws in Wales Act formed various Lordships in the Welsh Marches. The River Severn, seen here in Shrewsbury, is the primary watercourse in the county. The area around Oswestry has more rugged geography than the North Shropshire Plain and the western half is over an extension of the Wrexham Coalfield and there are also copper deposits on the border with Wales. Mining of stone and sand aggregates is still going on in Mid-Shropshire, notably on Haughmond Hill, near Bayston Hill and around the village of Condover. Lead mining also took place at Snailbeach and the Stiperstones, but this has now ceased. Other primary industries, such as forestry and fishing, are to be found too. The A5 and M54 run from Wolverhampton (to the east of the county) across to Telford, around Shrewsbury parallel to the line of Watling Street an ancient trackway. The A5 then turns north west to Oswestry, before heading north into Wales in the Wrexham area. This is an important artery and the corridor is where most of Shropshire's modern commerce and industry is found, notably in Telford new town. There are also a number of railway lines crossing over the area, which centre at Shrewsbury. To the south west of Telford, near the Ironbridge Gorge, is Ironbridge Power Station. South Shropshire is more rural, with fewer settlements and no large towns, and its landscape differs greatly from that of North Shropshire. The area is dominated by significant hill ranges and river valleys, woods, pine forests and "batches", a colloquial term for small valleys and other natural features. Farming is more pastoral than the arable found in the north of the county. The only substantial towns are Bridgnorth, with a population of around 12,000 people, Ludlow and Church Stretton. The Shropshire Hills AONB is located in the south-west, covering an area of 808 km2 (312 sq mi); it forms the only specifically protected area of the county. Inside this area is the popular Long Mynd, a large plateau of 516 m (1,693 ft) and Stiperstones 536 metres (1,759 ft) high to the East of the Long Mynd, overlooking Church Stretton. Shropshire has a huge range of different types of rocks, stretching from the Precambrian until the Holocene. In the northern part of the county there are examples of Jurassic, Carboniferous, Permian and Triassic. Centrally, Precambrian, Cambrian, Ordovician, Carboniferous and Permian predominate. And in the south it is predominantly Silurian and Quaternary. Shropshire has a number of areas with Silurian and Ordivician rocks, where a number of shells, corals and trilobites can be found. Mortimer Forest, and Wenlock Edge are examples where a number of fossils can be found. 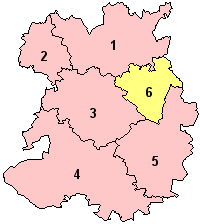 Shropshire has no cities, but 22 towns, of which two can be considered major. 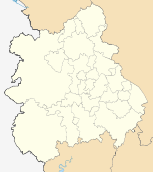 Telford is the largest town in the county with a population of 138,241 (which is approximately 30% of the total Salopian populace); whereas the county town of Shrewsbury has a lower, but still sizeable population of 71,715 (15%). The other sizeable towns are Oswestry, Bridgnorth, Newport and Ludlow. The historic town of Wellington now makes up part of the Telford conurbation. The majority of the other settlements can be classed as villages or small towns such as Much Wenlock. Several villages have larger populations than the smallest town, Clun. The largest of these, Bayston Hill, is the 10th most inhabited settlement in the county. See also: Shropshire local elections and Telford and Wrekin local elections. The Montgomery Canal at Maesbury Marsh. Shropshire is connected to the rest of the United Kingdom via a number of road and rail links. Historically, rivers and later canals in the county were used for transport also, although their use in transport is now significantly reduced. The county's main transportation hub is Shrewsbury, through which many significant roads and railways pass and join. Canals in the United Kingdom today serve primarily for leisure purposes and three canals managed by the Canal & River Trust run through Shropshire: the Shropshire Union Canal (from north of Adderley to near Knighton), the Llangollen Canal (from Chirk Aqueduct to Grindley Brook) and the Montgomery Canal (from its beginning at Frankton Junction to Llanymynech). In addition, the Shrewsbury and Newport Canal potentially could be restored in the future. There are a number of major railway lines running through the county, including the Welsh Marches Line, the Heart of Wales Line, the Cambrian Line, the Shrewsbury to Chester Line and the Wolverhampton to Shrewsbury Line, as well as heritage railways including the well established Severn Valley Railway. The Cambrian Heritage Railway exists in Oswestry. The two train operating companies working in the county are London Midland and Arriva Trains Wales. A new company, Wrexham & Shropshire, commenced services from Shropshire to London Marylebone station, in spring 2008 but the service was discontinued on 28 January 2011 leaving Shrewsbury without a direct link to the capital. 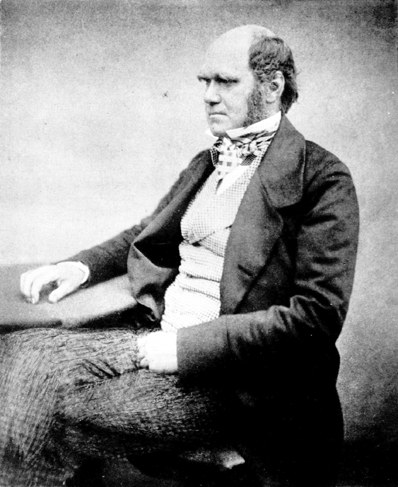 The county has many independent schools, including the prestigious Shrewsbury School, which Charles Darwin attended, and Oswestry School, which was founded in 1407. Shrewsbury Abbey of Shropshire features in the Cadfael Mysteries; Brother Cadfael is a member of the community at the Abbey. In music, the composer Ralph Vaughan Williams wrote "On Wenlock Edge" in 1907. In the book Good Omens, Shropshire is mentioned as being developed by the angel Aziraphale. In the novel A Room With a View, Charlotte Bartlett states that the romantic Italian landscape reminds her of the country around Shropshire, where she once spent a holiday at the home of her friend Miss Apesbury. The 2011 documentary Rome Wasn't Built In A Day was filmed in the Roman city of Viroconium Cornoviorum near village of Wroxeter. In the final episode of Ever Decreasing Circles, Martin's neighbour Paul announces he is moving to Shropshire. The British sitcom The Green Green Grass is set in Shropshire, with Boycie's wife being surprised and asking "what's Shropshire?" upon learning she was moving there, used in the original BBC advertisement of the series. The three highest football (and only professional) clubs in the county are Shrewsbury Town (English League Two), Telford United (English Conference) and The New Saints (Welsh Premier) in Oswestry. Some clubs situated near the Welsh border have at times played in the Welsh league system; at present Newcastle and Bucknell, in the southwest of the county, play in the Mid Wales South League, while Trefonen in the northwest play in the Montgomeryshire League. In May 2012 the Mercian Regional Football League was created, replacing the Shropshire County Premier Football League and Telford Combination. ^ Wrexham & Shropshire :: Telford. ^ BBC – Shropshire – Features – Industrial Archeology. ^ website. Plantlife.org.uk. Retrieved on 25 August 2011. ^ Article on Shropshire. 1911encyclopedia.org (21 January 2009). Retrieved on 25 August 2011. ^ http. //www.britannica.com. Retrieved on 25 August 2011. ^ Secret Shropshire. Secret Shropshire. Retrieved on 25 August 2011. ^ London Gazette: no. 48124, p. 3797, 11 March 1980. Retrieved 17 January 2013. ^ West Midlands at www.naturalengland.org.uk. Accessed on 5 Apr 2013. ^ "Shropshire – MSN Encarta". http://uk.encarta.msn.com/encyclopedia_781530177/Shrewsbury.html. Retrieved 24 February 2008. ^ Shropshire Routes to Roots | Sources and collections | Trade directories. .shropshire-cc.gov.uk (13 July 2007). Retrieved on 25 August 2011. ^ population of Madeley, Shropshire, England 2010. True Knowledge. Retrieved on 25 August 2011. ^ What is the population of oakengates?. True Knowledge. Retrieved on 25 August 2011. ^ "Last Wrexham-Shropshire-London train departs". BBC News. 28 January 2011. http://www.bbc.co.uk/news/uk-england-shropshire-12305519. ^ http. //www.discovershropshire.org.uk (26 September 2006). Retrieved on 25 August 2011. ^ Contact Us. PDSA (29 July 2011). Retrieved on 25 August 2011. This page uses content from the English language Wikipedia. The original content was at Shropshire. The list of authors can be seen in the page history. As with this Familypedia wiki, the content of Wikipedia is available under the Creative Commons License.